The exquisitely talented actress and artist, Jane Seymour, visits Ocean Galleries in Stone Harbor, NJ for a Memorial Day exhibition, bringing an extraordinary collection of her latest oil paintings and watercolors. "Jane Seymour: Up Close and Personal" opens Friday, May 15, 2015 and runs through Monday, May 25, 2015, with all artwork on display available for acquisition. The exquisitely talented actress and artist, Jane Seymour, visits Ocean Galleries (9618 Third Avenue, Stone Harbor, NJ) for a Memorial Day exhibition, bringing an extraordinary collection of her latest oil paintings and watercolors. “Jane Seymour: Up Close and Personal” opens Friday, May 15, 2015 and runs through Monday, May 25, 2015, with all artwork on display available for acquisition. Due to the popularity of the artist and her artwork, the exhibit will open for a special preview on Friday, May 15, a week prior to Ms. Seymour’s arrival, and will be open daily from 10:00 AM until 5:00 PM in the Stone Harbor gallery until Thursday, May 21. The preview week offers an opportunity to view Jane’s artwork in an intimate and relaxed setting. A private reception prior to exhibition hours will be held Memorial Day weekend offering a unique exchange with the artist as she personalizes artwork acquired during preview week. Beginning Friday, May 22 through Monday, May 25, the gallery will be open from 10:00 AM until 10:00 PM for the “Jane Seymour: Up Close and Personal” exhibition. Gallery guests will have the opportunity to meet Ms. Seymour during receptions from 7:00 PM until 10:00 PM on Friday, May 22 and Saturday, May 23, and 1:00 PM until 4:00 PM on Sunday, May 24. A multiple Emmy and Golden Globe winner, Jane Seymour has proven her talents in virtually all media, the Broadway stage, motion pictures and television. 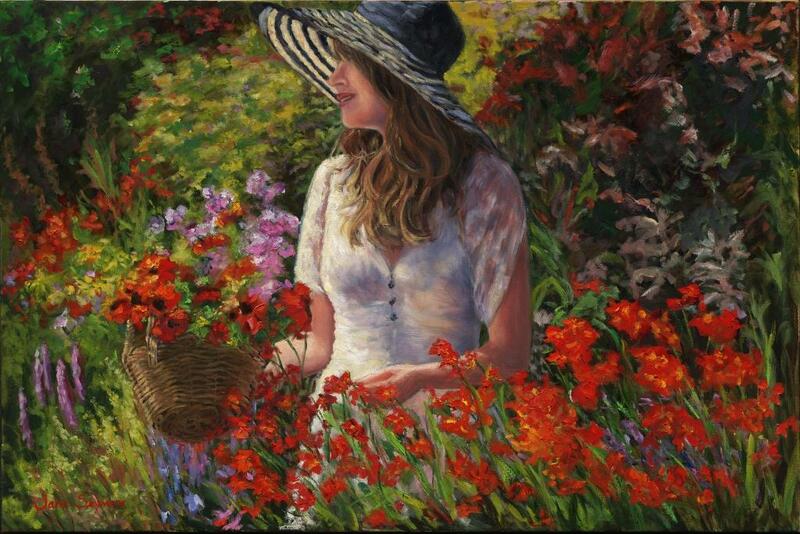 Her love of art and color has led to her great success as a painter in watercolors and oils and as a designer. 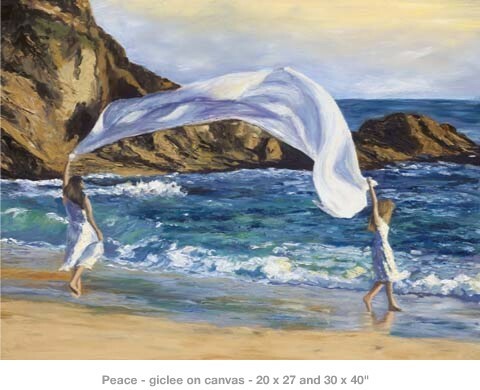 With a thriving career as an artist and her own art gallery in Los Angeles, she has exhibited in numerous galleries and venues across North America. Over the past eighteen years she has created an intimate world of delicate watercolors, colorful vibrant oil paintings, pastels and bronze sculptures and has accepted select private commissions. She continues to reach new artistic levels by continually developing her technique, style and subject matter.